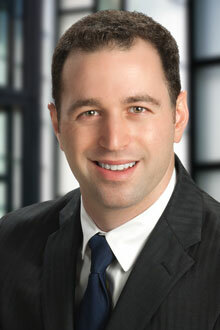 Michael B. Greenberg is an associate in the Fort Lauderdale office of Lewis Brisbois and a member of the Intellectual Property & Technology Practice. His practice focuses on intellectual property and commercial litigation. Prior to entering private practice, Mr. Greenberg served for two years as a judicial law clerk at the Florida Fourth District Court of Appeal in West Palm Beach. He then served in the appellate and litigation divisions of a Fort Lauderdale law firm before joining Lewis Brisbois. Mr. Greenberg graduated from the University of Florida Levin College of Law with a Certificate in Intellectual Property Law. In law school he was as an editor on the Journal of Technology Law & Policy, which later published his article on fantasy sports and the right of publicity. He also proudly served as President of the Jewish Law Students Association.